SAN JOSE — Join the Asian American Women Artists Association and Japanese American Museum of San Jose for “Agrarianaa,” a multimedia exhibition featuring nine local and national artists inspired by the rich history of Japanese American agricultural crafts, legacies and present-day community placemaking. Artwork will include paintings, sculptures, films and multimedia installations inspired by a diverse range of subjects, including artists’ own family farms along the West Coast, local activities such as strawberry picking, agriculture-related mythological figures such as the Goddess of Rice and kitsune (fox), the contemporary relationship of farming labor practices and eco-justice, and the agricultural connection between Japan the Americas. 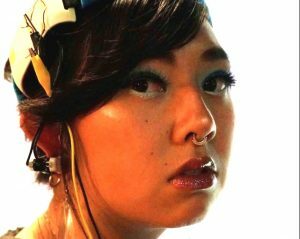 Artists include Tina Michiko Kashiwagi, a Japanese and Vietnamese American interdisciplinary artist residing in Oakland. Her work aims to reflect on past histories in order to uncover the future. Kashiwagi received her BFA in art education at San Francisco State University in 2016. Her work has been featured in The San Francisco Chronicle. “Agrarianaa” artworks will be in dialogue with the permanent collection of the Japanese American Museum of San Jose, which chronicles more than a century of Japanese American history. The opening on Saturday, March 9, from 12 to 3 p.m. will feature a participatory art piece from Ginger Brooks Takahashi, along with food, refreshments and more. Admission to the museum will be free. Closing reception will be held on Sunday, Sept. 29. JAMsj is located at 535 N. Fifth St. in San Jose Japantown. For more information, call (408) or visit www.jamsj.org.